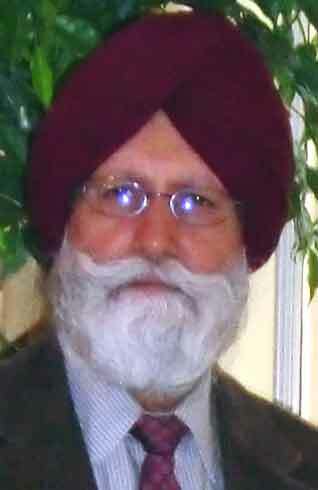 Traveling with Sant Naranjan Singh of Patiala during the late sixties, Yuktanand took notes. Since, he is unable to lose that passion for gurbani. He practices medicine in a suburb of Ann Arbor, Michigan, U.S.A.
Water is essential for every living being. This is why it is available in abundance. Guru Nanak’s path is straight-forward: doing naam simran while living the life of a householder. Guru Nanak’s mercy is without any limit or boundaries. We must never forget this and never lose hope. One must get adequate sleep and be well rested. At least 7 to 8 hours of sleep is necessary ... Our body can engage in the spiritual toil only when it is healthy. The English Channel runs between Britain and France. There is a stream of warm water in this channel. This stream is inside the cold ocean but its water stays separate from it. One who engages in simran needs to also rise above the desire for wealth, personal fame or spiritual powers. They are hurdles on the path. All the Sikh Gurus made sure that no one worshipped them as God. They called themselves lowly servants of God. Many believe that spirituality is only for dreamers, that it is neither relevant nor necessary in the real world. Talk of spirituality is thus, for them, just like talking in the wilderness.